Lulzsec Exposed, Long Live Anonymous ! Lulz war ! Today Hacking group "Lulzsec" completed their 50th day and also announce the retirement of Lulz boat. What are the Reasons behind this ? Lulz Security's rise to prominence has been extraordinarily fast.The hacking group first emerged in May and in the past few weeks has attacked the websites of some of the world's leading corporations and governments. The group specialises in locating websites with poor security and then stealing information from them and posting it online via Twitter account, well They have 278,429 Followers]in 50days. To understand who/what lulzsec is, you need to understand where they came from. Everything originates from the chan (4chan/711chan/etc.) culture. It's a culture built around the anonymity of the internet. If your anonymous no one can find you. No one can hurt you, so your invincable. LULZSEC skills : We have seen that Lulzsec mostly hack random targets which are vulnerable and easily available on net via google Dorks. Now just check the Defacement section of "The hacker news" , you will get so much talented hackers of world, Then why these guys not having millions of followers ? Why these Indian, Pakistani and Albanian hackers don't get attention of Big media ? Its all because their aim was not to get Fame, they are testing their own skills and Learning from real world or whatever the other Reasons of hacks. Even PBS (Public Broadcasting Service) & Writerspace Hacked Again by Warv0x (AKA Kaihoe) . According to Warv0x (AKA Kaihoe) "This wasn't done for fame or fun,just proving LulzSec aren't as goodas they think they are. I haven't rooted the box or been up to crack the hashes, I'm just proving that most of their attacks are very lame and basic (i'm pretty sure and automated) SQL injections and further privilege escalation, which is just matter of time." He also said "Support for WebNinjas & Jester, good job at exposing them.Sad to mention, but I really agree with th3j35t3r & WebNinjas - LulzSec are just a bunch of script kiddies..."
Be Anonymous ! Otherwise One day FAME will cause THE END. 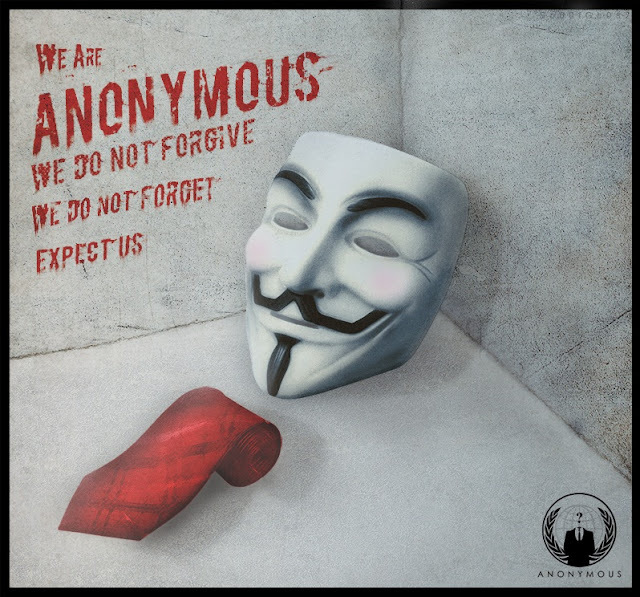 The Anonymous : Need of 21st century.